Voicebank created based on the singing voice of Sachiko Kobayashi, one of Japan's most famous singers. 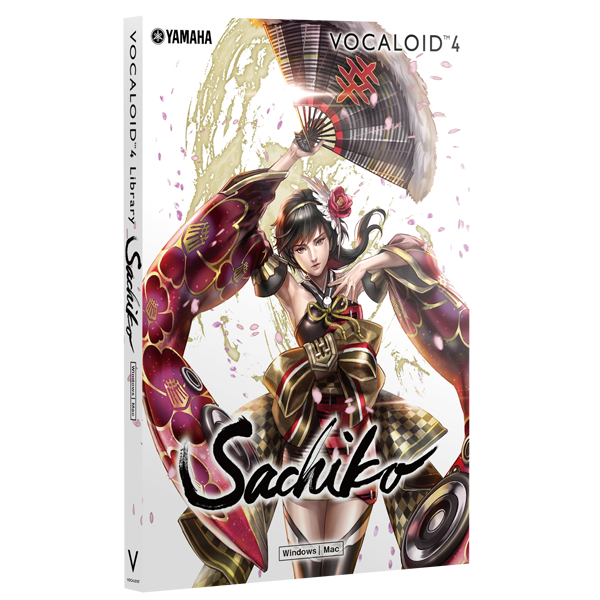 "An overwhelmingly soulful voice that vividly expresses the creator's passion"
Reproduce the enchanting singing voice of the one and only Sachiko Kobayashi with VOCALOID. profound feeling and a beautifully forceful singing voice, from the bass to treble ranges. Includes the Job Plugin "Sachikobushi"
previous catalog, allowing you to easily reproduce this singing style. Use the simple operations to select your favorite effects and reproduce Sachiko Kobayashi's style of singing. *Job Plugin"Sachikobushi" cannot be used with VOCALOID5. As a bonus, this bundle also includes over 400 diverse voice samples recorded by Sachiko Kobayashi herself from standard call out to unique ones, such as "I will sing! ", "Let's Go", to "Clap your hands!" and "Descend!". From her far-reaching success in real life and on the Internet, Sachiko Kobayashi is known as a strong woman. This product incorporates many elements of modern Japan while also maintaining her image of strength. (snow camellia), which is the official flower of Niigata and also the title of one of her hit songs.